When it comes to small and discreet smoke devices, the zeppelin pipe has stood the test of time and has proven to be effective. The zeppelin pipe is extremely easy to use, simply unscrew the lid and fill with your favorite aroma blend. 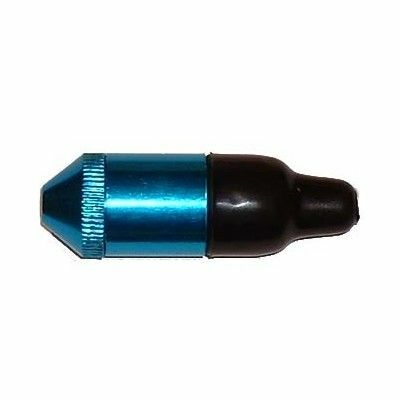 A small hole in the cap lets you travel or light the pipe without worry of spilling your materials. This mini zeppelin pipe comes in several colored metallic finishes all with a black rubber mouthpiece. At just about 2.5", this small pipe fits perfectly into any pocket or purse for a quick, covert session virtually anywhere. Available in assorted colors.